Good: Tons of potential mouth watering hits, Panini's best card design to date, has the feel of a higher end product yet can be had for under $100 per box. Bad: Only five cards per box so can be very hit or miss. 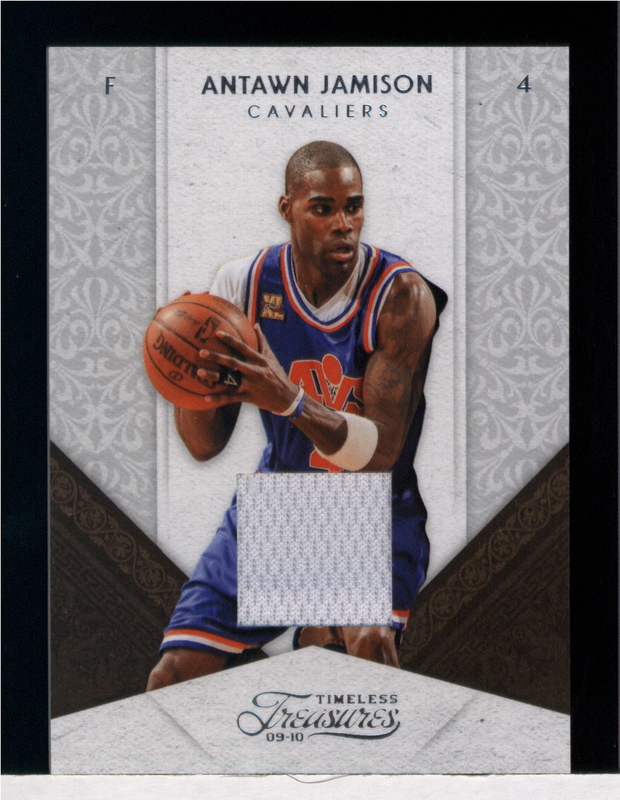 The Bottom Line: 2009-10 Panini Timeless Treasures Basketball is perhaps the most well polished Panini release to date. The plethora of potential hits combined with the sleek high end design and affordable price tag make this set a winner through and through for any basketball card collector looking to buy a medium to high end box to break. I have had no qualms about expressing my extreme dislike for Panini's card designs in the past. Ignoring the old adage "If it ain't broke don't fix it" revamped the overall strong set designs of Donruss' 2008 products upon acquiring the company last year. 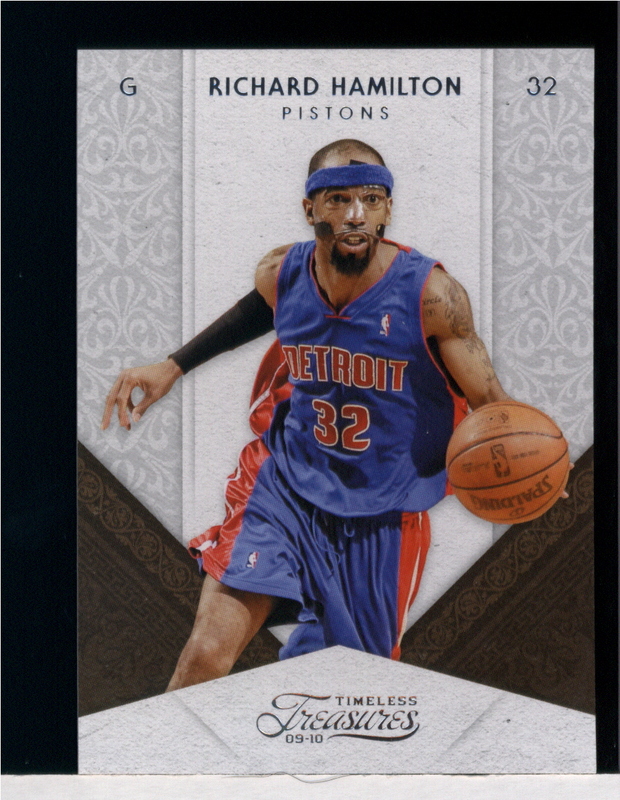 This has largely resulted in disaster, however two of the company's most recent releases, 2010 Panini Prestige Football and 2009-10 Panini Timeless Treasures Basketball, are encouraging indications that Panini is taking the design of their products more seriously. Timeless Treasures looks the part of a high end product thanks to a modern, well rounded design throughout its base and insert sets. Add in the thick card stock and glossy finish and this really is a nice looking set. 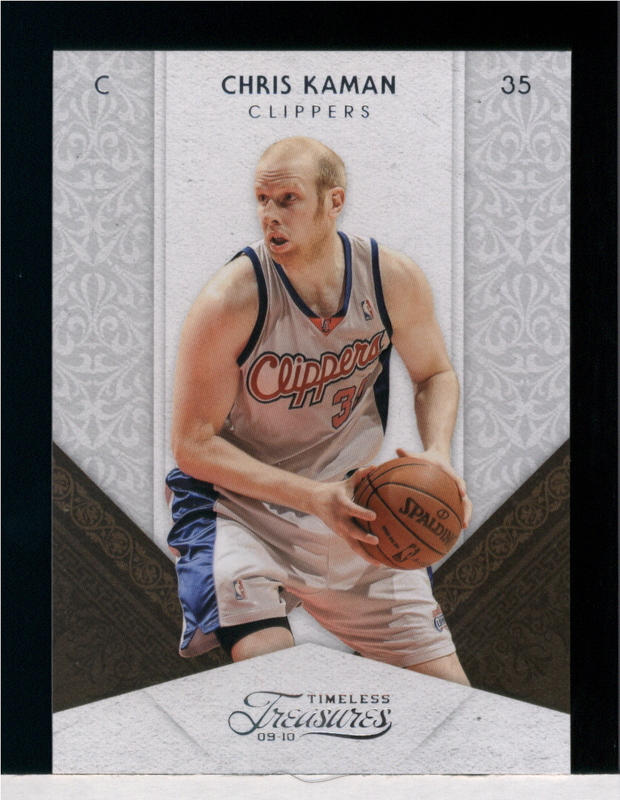 The checklist is very similar to other Panini basketball products released this year - which is a good thing. 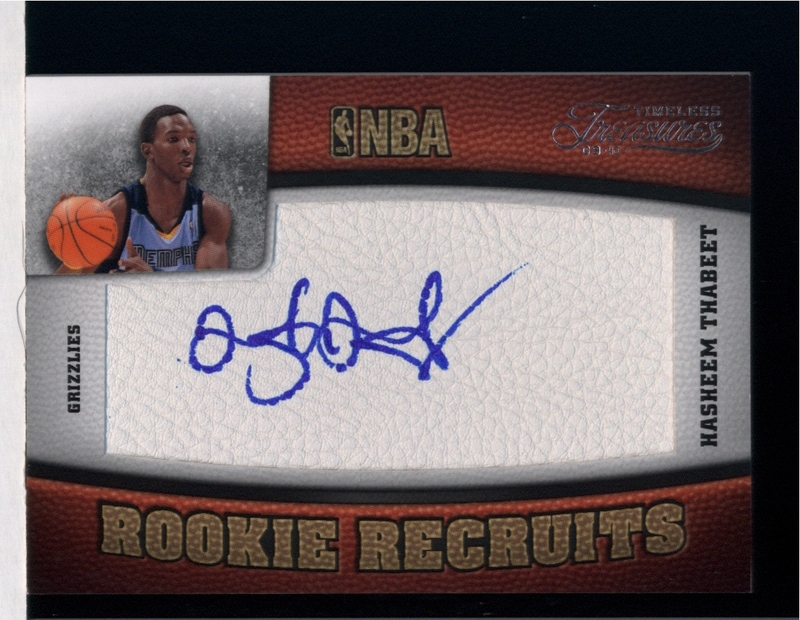 There is a healthy assortment of autographs and patches from NBA veterans and rookies alike. The selection of autograph insert sets for rookies is especially compelling. As far as high risk / high reward products like Timeless Treasures go, it is definitely an above average value. Each 5-card box includes 3 hits and 2 numbered base cards. Based on my box break and several other breaks by others, it appears to be a relatively safe bet that 2 of the 3 hits will be autographs. The going rate around $100 per box will scare some away, but considering the big hit potential the price seems warranted. Over the last couple of years I've started to gravitate more and more towards breaking high quality / low quantity boxes rather then selecting products just because they have lots of packs to break. The catalyst for this change in preference was simply that my collection was taking up way too much space in my house, but I have started to really enjoy them thanks to products like Timeless Treasures. Though the box break was brief, the quality and diversity of the potential cards, and even the actual pulls, were such that it was a lot of fun none the less. 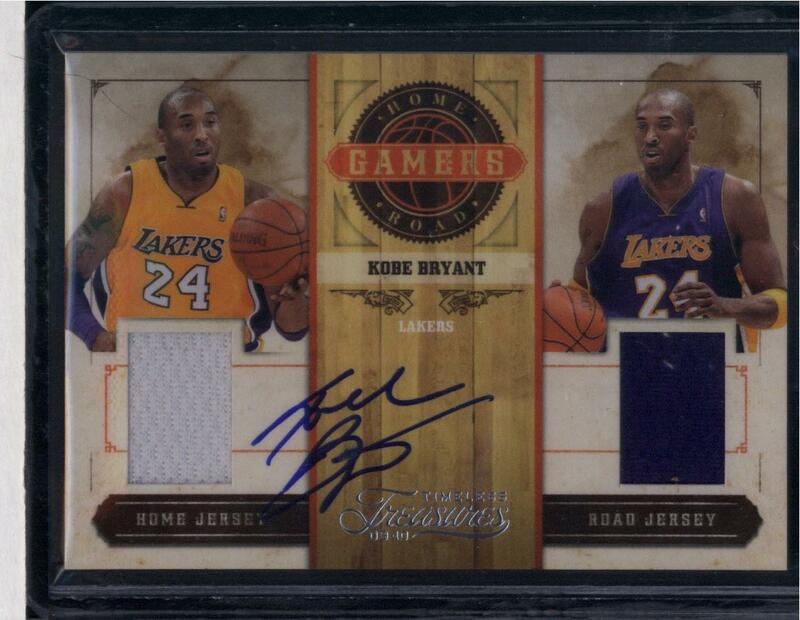 Oh, and did I mention I pulled a Kobe Bryant dual jersey auto? That unexpected treat was the icing on the cake.